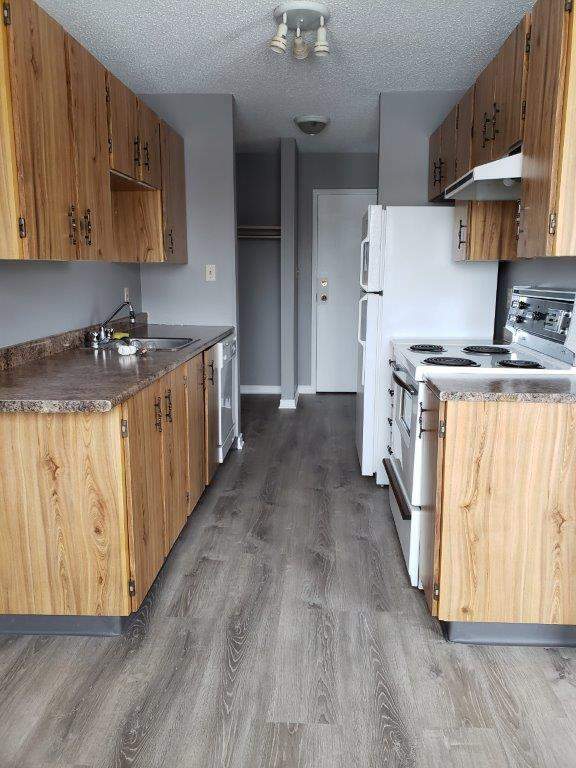 Newly Reno'd 1 Bdrm w/ Full Vinyl Plank & Balcony! Residents of Crestmark Place Can Receive 40% off Telus Home Services or Exclusive Deals with Shaw!! *See site manager for details, subject to Telus/Shaw availability & conditions. Crestmark Place is located a 10 minute walk from Royal Alexandra Hospital, MacEwan University and Kingsway Garden Mall and is across the street from a large park with plenty of green space. Close to all amenities, buses and the LRT system, these centrally located suites provide on-site laundry and large balconies. Heat, water & one parking stall included. Cats only permitted (upon approval, fees apply). Security Deposit only $499. Professionally Managed By Mayfield Management Group Ltd.
Rates, deposits and incentives are based on applicable lease terms, on approved credit and are subject to change without notice, some conditions apply. Photographs are for advertising purposes only and may not be of the actual suite available. 1 Bdrm Suite in Oliver ~ Walk to MacEwan University!! Spacious 2 Bdrm w/ Balcony & Dishwasher in Blue Quill!